I have always used White King bleach (lavender) for all my household needs – both laundry and general cleaning and mold removal in the bathroom and kitchen. It is effective and doesn’t cost very much. I would highly recommend. Just be careful using it though and always in a well ventilated area. White King al l purpose bleach is a great product l use to clean the bathroom and toilet.It is very strong and removers stains and grime and the fragrance is lovely! 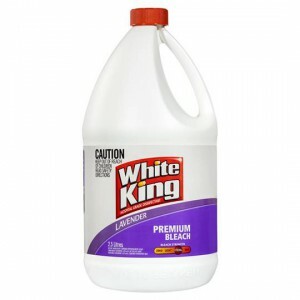 How would you rate White King Bleach Lavender All Purpose?